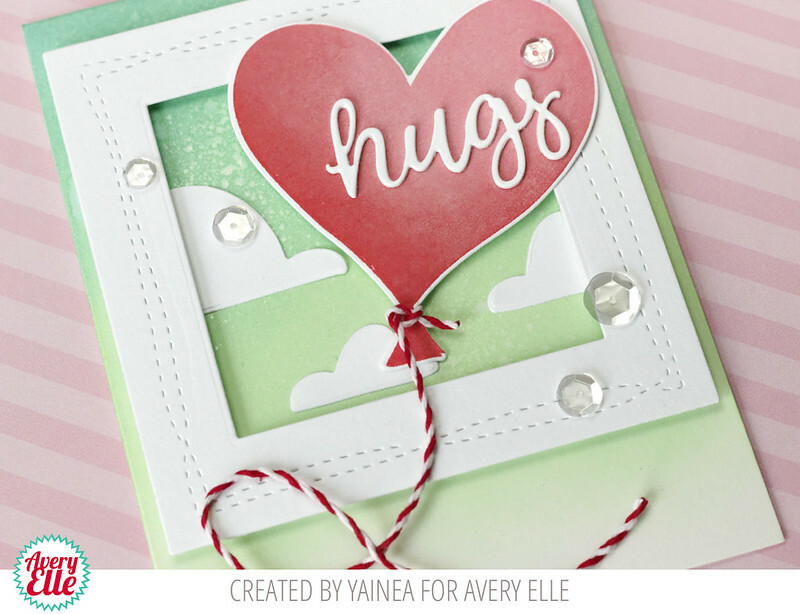 Check out this first card by Elena! To finish off, I added the "hello" die-cut, also found in the Wonky Squares set. I hope you like it! It's Yainea here featuring Wonky Squares Elle-ments. Since they were released, Wonky Rectangles has been one of my favorite dies sets and the new Wonky Squares is in that list too. 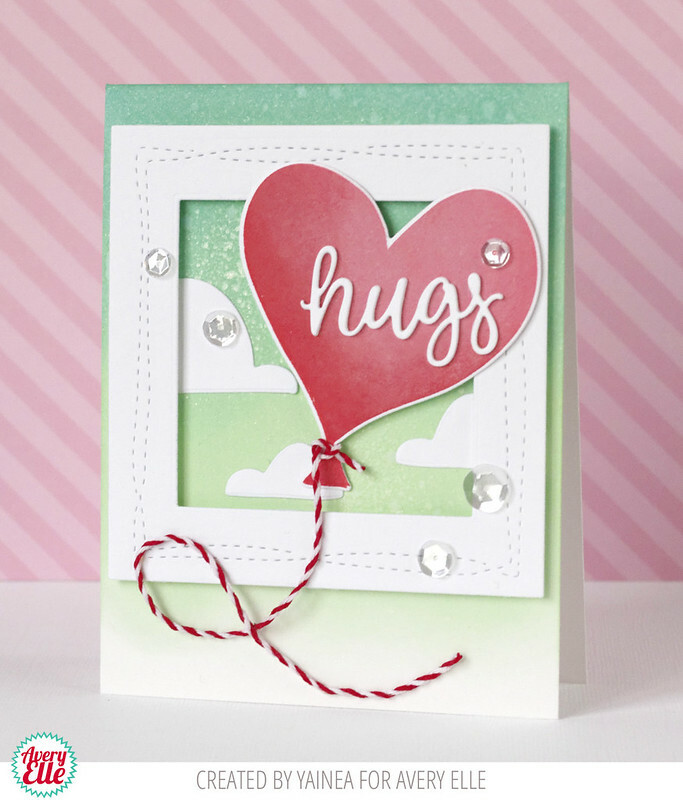 They are perfect for most cards, adding a subtle texture while framing a focal element. Also, I love the sentiments included in Wonky Squares Elle-ments, they are a great addition for a lot o different cards. For my project today I used the big Wonky Square die but instead of using it as a background I used it to create a frame for my card. If I had just cut a frame my card would probably look boring but those stitches add a nice interest to it! I started by blending some aqua and teal ink on the background and sprinkling some water and perfect pearls on top. Then I cut my frame and adhered to the background using dimensional adhesive. The heart balloon and clouds are from the Love is in the Air stamp set, I stamped the heart with two tones of red and die cut it with the coordinating dies. I adhered everything to the background and tied some red twine to the balloon. For the sentiment, I die cut the word three times and adhered them together to get more dimension. Finally, I added some clear sequins on top.